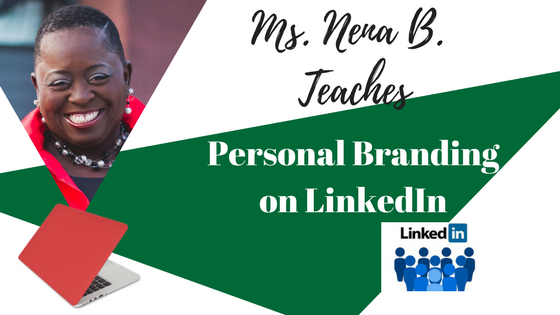 Personal Branding on LinkedIn – Ms. Nena B. Is your LinkedIn profile needing a makeover? Are you wondering how to show your professional and entrepreneur experience in your profile? Are you wondering how to find a job on LinkedIn? Are you wondering how to connect to new people on LinkedIn? If so, learn how to establish your personal brand on LinkedIn.